Today, I was privileged to have published an article for L.A. Marzulli’s eZine, Prophecy, Politics, and the Supernatural (May 2015). It covers a vital controversy–what will happen to America during the Last Days? Is it mentioned in Bible Prophecy. It was stimulated by an article written by Terry James, a good part of which I cite in my article. 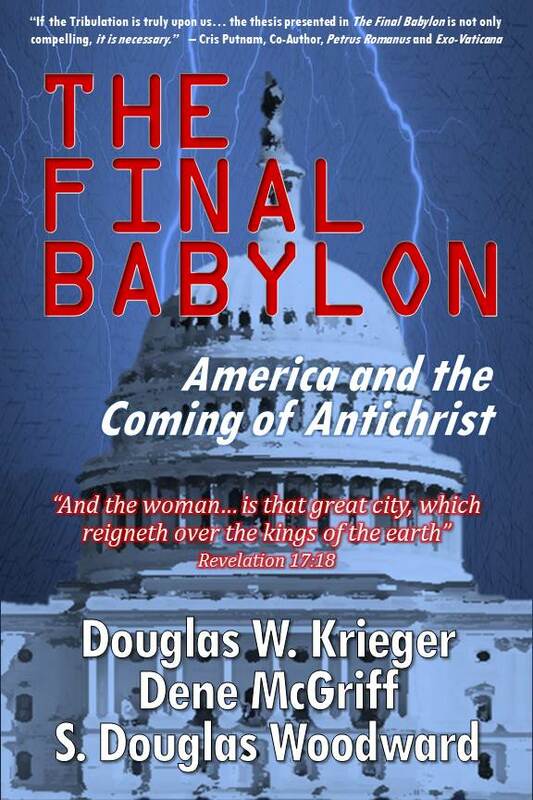 For those interested, the argument for the fate of America is the subject of THE FINAL BABYLON, which I wrote with Douglas Krieger and Dean McGriff about 2 years ago. That book continues to sell and no doubt will continue to be a source of discussion in the months ahead. 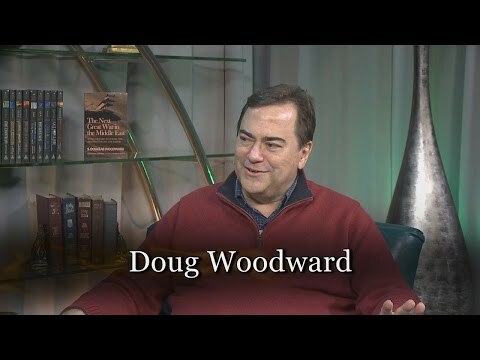 Recently, the revered author and friend Terry James, a long time contributor to the subject of Bible prophecy, shared an article on the website with which he is closely associated, Rapture Ready (www.raptureready.com). Terry’s article assuredly stirred the pot, so to speak (Terry confirmed to me personally that it had caused more reaction than just about anything he had previously written). After reading his excellent article, I shared it with a number of writer/researcher colleagues adding my own introduction to his remarks and making the point that if Terry James is asking this vital question, then the book that my co-authors Douglas Krieger, Dean McGriff wrote, The Final Babylon, deserves even more consideration than it is already getting (which is considerable). My email to my colleagues received both kudos and criticism. But what was the vital question that Terry James raised? Terry asserts it is time to rethink the traditional scenario (typically associated with Hal Lindsey, Tim LaHaye, and the late Grant Jeffrey) regarding America NOT being mentioned in Bible Prophecy. I couldn’t agree more. Before I share my response to one particular criticism of a most highly regarded colleague who has written some of the best selling books on eschatology, allow me to highlight some of Terry’s analysis. It is right on point and since it brought the issue to light, sharing a good piece of Terry’s argument is necessary and proper. Terry begins by pointing out that all the players in the conventional end-times scenario are standing at the starting line as if they tensely await the gun that begins the race. And yet, the most diabolical player seems to not to be in his starting block. Russia and her partners are primed (comprising the so-called Gog and Magog alliance of Ezekiel 38-39). The leader of the Kings of the East, China, stands ready to engage as it has become an undisputed financial, political, and military world power which occasionally startles us when it rattles its sabre. Israel and the nations that immediately surround it are literally in perpetual conflict, while preparations seem complete for what likely will be an attack by Israel on Iran, as Israel fears that Iran stands just moments away from having a nuclear bomb. But where is Babylon? Where is Rome? The nation or alliance of the power base of the Antichrist seems to be missing in action. Could this be so? Or are we blind to who the real culprit is? It could be, of course, that the fulfillment of the final prophecies involving this region [the Middle East] is far off yet. However, the Lord, I’m convinced, is telling those who are paying attention that all of these things are on the very cusp of fulfillment, not somewhere in the distant future. There must be a land (nation) and a city of unprecedented power, influence, and opulence on the scene by the end of that prophesied seven years to wrap up history prior to Christ’s Second Advent. I’ve read Mark Hitchcock’s book on the topic, as well as a number of other books on the subject of the city known as Babylon the Great. Most have it that the city will be quickly built with modern building methodologies and equipment. This, to me, is becoming less likely every day. Yet that nation and city must be there before Christ’s return, as given in Revelation chapter 18 and other places. There is nothing “spiritual” about the prophecy. The land and the city will be “literally” destroyed in an hour, the prophecy says. To me it is doubtful that building such a city of great opulence and influence could be accomplished during the Tribulation–as the tremendous geophysical destruction from God’s judgment and wrath, it seems logical, will make such construction prohibitive. Despite every economic and other problem that has been thrown at America–even with the most destructive (purposefully, I’m convinced) president in its history–America stands far above the rest, $18.5 trillion deficit and all. Like the earlier prophecy says about that ancient city and land (Jeremiah 51:7), America has been a “golden cup” in the hand of God–i.e., this nation has seen to it that the gospel has been disseminated to the world. It has served as midwife in the rebirth of Israel into modernity, and has acted as its earthly protector (realizing, of course, that God, Himself, is its ultimate protector). 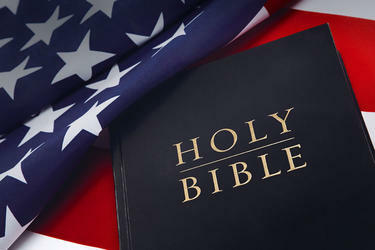 Sadly, however, America has also become—like that doomed land and city–the most sinful in all of mankind’s history. Like it or not, the United States fits the model, and there seems no such other that has even the most remote chance of one day fitting the model, if we are talking about a relatively near-term fulfillment of the prophecy in which Babylon the Great is involved. As I’ve lectured and written on many occasions, unfortunately it remains my contention that America wears the black hat in the last days. In contrast, the traditional scenario argues for a revived roman empire specifically restricted to European nations. But as we said in the first line of The Final Babylon: “Rome has not revived.” We would argue that instead we should be more specific to say that the people of the prince who is to come is in fact derived from Rome and its empire (especially Great Britain). BUT this people (most notably its leadership in politics, economics, and military) lives in the United States. 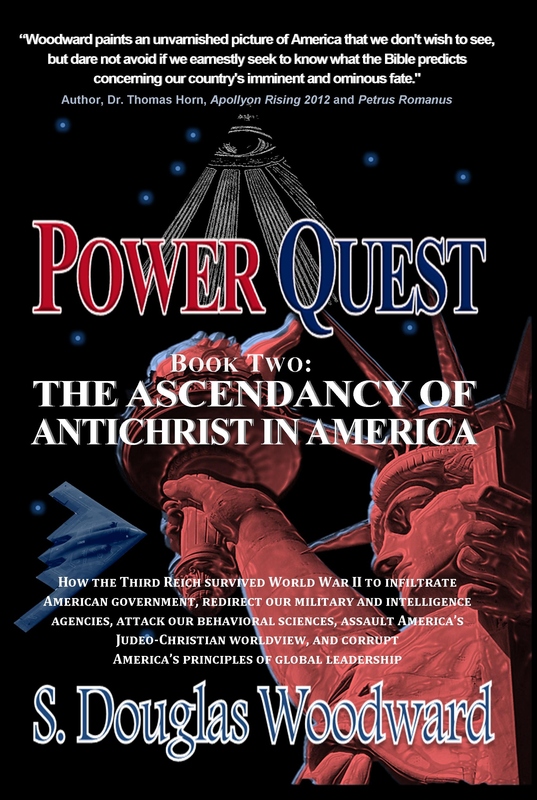 It would be an overstatement to say that the United States singularly and exclusively is the power base of Antichrist. But we are arguing it is the undisputed leader of this empire, an empire that now opposes the Kingdom of God. As we depict in our book The Final Babylon, Babylon comprises an empire that has existed since the time of Nimrod. It was the capital of the Nebuchadnezzar’s Babylon and likewise, the Media-Persian Empire, and two hundred years later, the official capital of Alexander the Great and the Greek Empire. It literally and symbolically stands against the LORD of the Bible, His Christ, and His coming Kingdom. Composed of many nations, it is the ultimate fulfillment of biblical prophecies in Jeremiah, Isaiah, and Ezekiel concerning the Daughter of Babylon, the Daughter of Tyre, and the Daughter of Tarshish. Furthermore, the megalopolis that exists today from New York City to Washington D.C. constitutes the heart and soul of that empire. Doug, I love you brother, but you might want to calm down. Please put America in Revelation 18:20 for me. Why would the holy apostles be vindicated by the destruction of America? Your argument has along way to go still until many of us will be convinced. I have an abundance (years) of research I’m combing through from a credible source that is very problematic for the America / Babylon theory. He [the credible source] has gone through your book, R.A. Coombes’ book and all the heavyweights that subscribe to the America / Babylon theory. Should the Lord tarry longer, I will probably be publishing commentary on this topic and presently, it is not very favorable for the America / Babylon scenario. I truly appreciate your comments. I would say in response to you to hear Terry James out carefully on this matter. Terry has written extensively on the traditional scenario and done years of research too on the same subjects. 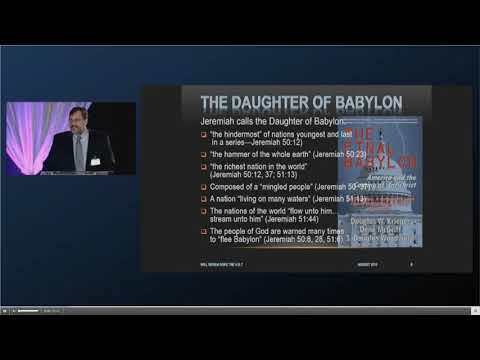 The fact that he is drawing the same conclusion that I and many others have drawn (including Noah Hutchings, J.R. Church, probably Gary Stearman and Tom Horn–see Apollyon Rising 2012), and a number of others (quite a few that communicate with me), suggests that there are many scriptures that are not well suited to a European ‘revival’ [as the traditional scenario supposes] and Terry is saying that current events are placing all the other players of the end time scenario at the starting gate. But where is Babylon? Terry is saying, well, The United States is the last man standing and it must be Mystery, Babylon; that it was once a golden cup in the Lord’s hand [Jeremiah 51:7] and it is full of abominations and filthiness (Revelation 17:40), that it is the hammer of the whole earth [Jeremiah 50:23], and many other points drawn from Scripture. [I would also call attention to] John Price’s book, The End of America, [which] draws some different conclusions about the timing of America’s judgment and destruction, [as] John still believes that Antichrist is likely to find his powerbase in Europe (and is probably a Muslim), but for this to happen, America must first be destroyed as described in Jeremiah 50, 51, Isaiah 13, 47, and echoed in Revelation. John Price’s position is that America is indeed in Scripture. It is more than just “the merchants of Tarshish” (Ezekiel 38:13) and it is not just casually mentioned as one of those that “dwell safely in the coastlands” (Ezekiel 39:6] but is smack dab in the middle of the fray, promoting the spirit of the beast (as I have documented extensively in my Power Quest books, not just in The Final Babylon), which includes spiritual apostasy, financial exploitation, and reliance upon military might whom the Antichrist honors (a God his fathers did NOT honor) and this is, in my view, the meaning of him being, like Nimrod, the advocate for “the god of forces” (Daniel 11:38) or strongholds. Babylon is that great city divided into three parts (Revelation 16:19). To fulfill the prophecy, Babylon must be economically the leader of the world, politically where the nations gather, and militarily the hammer of the whole earth. Only America fills the bill today. I think this is a healthy and necessary debate and whether John Price is right; or Doug Krieger, Dean McGriff, and I are right (which is where I believe Terry James is winding up); or you (and the traditional scenario of Lindsey/LaHaye/Jeffrey), none of us are saying America can keep rocking along doing what it is doing and expect to be spared. While you are not saying that, by indicating that America is not really mentioned in Scripture you are, in my opinion, not emphasizing appropriately the message of the coming judgment of God upon America. Is [this judgment destined to happen] before the Tribulation or is it toward the conclusion of the Great Tribulation? I believe THAT constitutes the main question—not whether America is the Daughter of Babylon. I believe Hutchings, Price, Coombs, and Frank Logsdon [the beloved long-time pastor of Chicago’s Moody Church]; have been the voices in the wilderness for four decades warning that America has become the empire that stands most in defiance to the coming of the Kingdom of God. The U.S. is the Daughter of Babylon. America is the enforcer of the New World Order (NWO). Wall Street and The City of London, together, comprise the financial colossus of the Final Babylon. The only real alternative to the USA being the power base of the Antichrist, is the long-term collusion of Anglo-Americanism… the Brits and the Yanks… that together have been the driving force of the NWO for over 100 years. It isn’t Turkey, Saudi Arabia, Italy, or even the EU that has the wherewithal to drive the NWO to its status as one-world empire of the last days. Indeed, the EU continues to be on the edge of oblivion. The Islamic world may have religious apostasy down pat like the Catholic Church. But like the Catholics, they don’t have the military or financial power to enforce the Antichrist’s agenda. 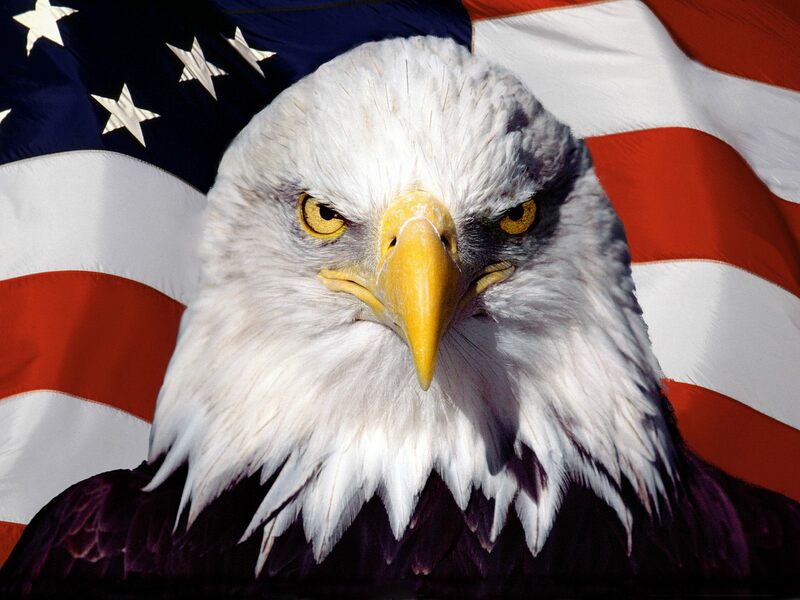 The only economic and military powerhouse that can fill the bill is the U.S.A. Yes, I still believe that the Rapture occurs before the Wrath of God is poured out… which is a pre-wrath position. However, I also believe in imminency and the “Restrainer” being taken out of the way before the Day of Christ, which I believe makes me Pre-Tribulation by just about anyone’s definition. Doug Krieger and I strongly disagree on this point. 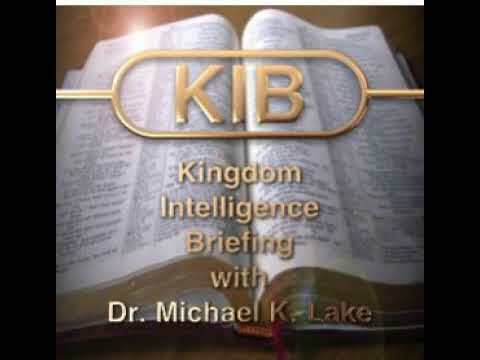 But we all are sounding the alarm that the U.S.A. is betraying Israel, and as a result this action destines us for God’s judgment (consider the warnings expressed in this regard within the books authored by Bill Koenig, David Brennan, and John McTernan). That cataclysmic judgment will possibly happen AFTER the Rapture… but it may happen before (I see Jonathan Cahn’s books in this same light by the way). The implication is that the apostate City of Babylon stands opposed to holy Jerusalem, the City of God. The Daughter of Babylon is the perennial opponent to the Daughter of Zion. Washington D.C., an ode to pagan architecture (beautiful though it be) and New York City the indisputable center of the world economy and capital of the great merchants of the world, are icons of Babylon. And as Scripture teaches, they may be destroyed in one hour. Terry James is hardly the only eschatology author and speaker that has come to the same conclusion. I met evangelist Dan Goodwin on April 28 (author of God’s Final Jubilee). He shared the same opinion with me over lunch. While we were waiting to join others for lunch, I picked up a new book on the table where we were sitting and it was by an author with whom I wasn’t familiar, William E. Males, entitled The Eight Beast: An Examination Of Modern Tribulation Theology And America In Prophecy. I quickly turned to his chapter on America and sure enough, he also echoed the fact that he had believed in the traditional scenario but recently had drawn the conclusion that America fulfills the prophecies of the Daughter of Babylon. As it was with Sodom and Gomorrah so shall it be for America. Be mindful: When the historical Babylon fell, it was not devastated. 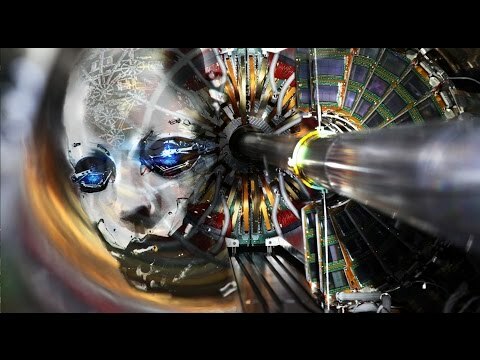 It was captured “without destruction.” It is rather the Final Babylon that will be judged in such a way that no man can dwell there afterwards. Bill Koenig’s book is: Eye to Eye—The Consequences of Dividing Israel. David Brennan’s books are entitled The Israel Omen I and The Israel Omen II. John McTernan’s book is: As America Has Done to Israel. All books make the case that God judges the U.S. immediately or simultaneously with foreign policy actions that harm today’s nation of Israel. Jonathan Cahn’s books are The Harbinger and The Mystery of the Shemitah.